Ecology is becoming increasingly important in today’s world, as it tends to protect the environment from further pollution whilst, at the same time, preserving it for future generations. This is the reason why the Panvita Group has designed integrated ecological solutions. Through these solutions the integrated food production process is put under complete ecological control. 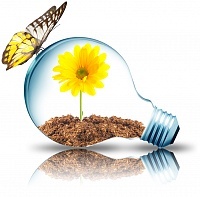 Nutrients are returned back to nature and the electricity produced through this process can be classified as “green energy”. The following activities fall within the framework of ecological activities: waste water cleaning, animal by-products (ABP) processing, and more importantly, acquiring “green” electricity from bio-gas. The Panvita Group is taking an integrated approach to meet these challenges. This is why Panvita has established and resolved waste water cleaning at the Nemščak and Mir waste water treatment plants and we also process animal by-products coming from companies within the Panvita Group. In 2006 we established our first bio-gas plant at the Nemščak pig farm. As a result, we initiated a new cycle of investments into acquiring “green” electricity from animal waste began. The Panvita Group is entering a new area with the newly established bio-gas plant, one that is attracting more and more attention on an international level. At the same time, the Group is committed to respecting international guidelines on preserving the environment and reducing CO2 emissions. In order to fulfil ecological demands we plan to further expand our bio-gas plant network within our Group as an integral part of our complete breeding and processing production. Panvita specialists are the leading experts in establishing bio-gas plant technologies; therefore our strategic aim is to offer our knowledge outside the Group as well. Green electricity production is our main strategic goal and our plan is to triple the green electricity production by 2011, from 10,000 kWh to 27,000 kWh.